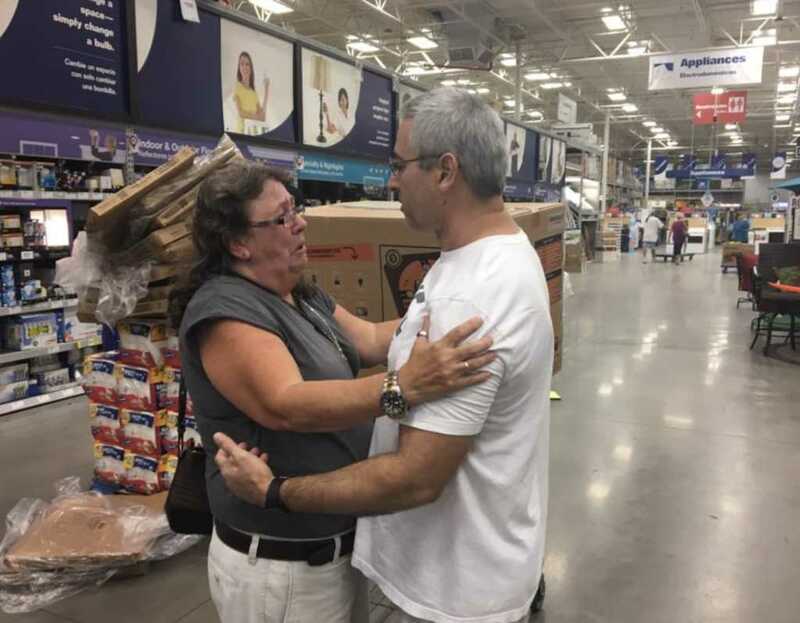 A Florida woman broke down in tears inside of a Lowe’s on Thursday when she realized that the store was out of generators. Pam Brekke was in a panic, considering that her father is on oxygen and in need electricity to run his machine. And considering that Hurricane Irma is threatening to slam the region with potentially historic force, her reaction is understandable. Brekke was so worried that she reportedly traveled 30 miles from Sanford to Orlando to try and find a generator — but to no avail, as WFTV-TV reported. But just as Brekke was crying over missing out on the last available generator, a man named Ramon Santiago — a stranger she had never met — came up to her and offered her the generator he had planned to purchase. Brekke, who was clearly overwhelmed by the kind gesture, cried and embraced the generous man before telling the outlet that she is insanely grateful. The incident also left WFTV-TV reporter Nancy Alvarez in tears as she shared the tender moment on her Facebook page, garnering millions of views on a video showing the two embracing. “Writing this through tears and with a heart full of pride for my community,” Alvarez said.